Mark Evans has this to say “This excellent CO2 extraction of peppermint leaves is a useful alternative to standard peppermint essential oil. 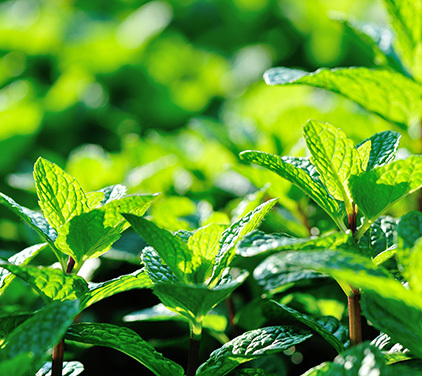 Its fragrance is warmer and calmer than the EO and also a little more aromatic, tending toward spearmint. Indeed, there is less menthol and camphor in the CO2 and more diverse components in the GC readout, pointing to more complexity and depth of character. Compare the scent of the essential oil, this CO2 and a fresh mint leaf and you’ll find that the CO2 is vastly more realistic and true to the leaf. So if you’re after a more naturalistic peppermint for your experiments, go for this CO2.